TV host Maria Menounos was pretty busy on the last night of 2017. 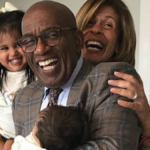 Not only did she co-host Fox’s New Year’s Eve broadcast with Steve Harvey, but she managed to pull off a surprise wedding to her longtime boyfriend, Keven Undergaro. The pair have been together for 20 years and engaged since March 2016. 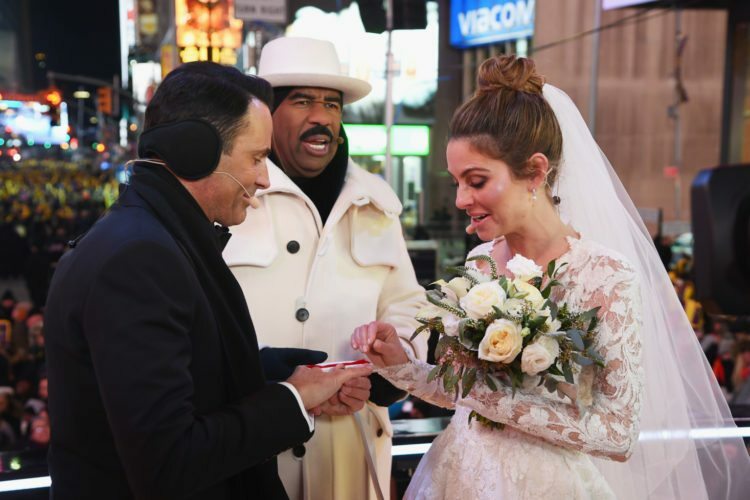 Menounos and Undergaro wed on Dec. 31 just before the ball dropped in Times Square at midnight. “Kris Jenner told me at Christmas Eve the other night, she said, ‘Tomorrow’s never promised.’ And you know what? She’s right. And I love you, and I want you to be there. And it’s gonna be amazing,” she said. Her mom has been battling stage 4 brain cancer, while the host has also faced health struggles of her own. In June, Menounos underwent major brain surgery to remove a benign tumor. During a difficult year, her fiance has been a source a strength. Despite the frigid temperatures, Menounos stunned in a lace gown from the Atelier Pronovias 2018 Collection. Her co-host, Harvey, got ordained for the occasion and officiated the ceremony.